In one of my last posts, I wrote about being awesome and how the perceived risk of doing something innovative at work may really be more than the actual risk. The key thing is actually getting over the hump and doing what you either feel needs to be done or what you really want to do. If you’re on your own then you just have to answer to yourself – and your boss who’s actually you. If you’re at a company then you have to answer to authority and work within a team that has rules and authority and political alignment, big moving parts, gears that turn, and the like. I’ve been reading Seth Godin’s The Icarus Deception and he brings up the concept of doing “art” in an environment that comes from an industrial age mentality. A mentality which tries to force you into a conformance which accepts the status quo. Where mental momentum can feel almost physical – a mind at rest tends to stay at rest. If you can only break free and get your mind in motion and accomplishing things then it will pick up speed and physics will apply. How do you break free and do what you’re capable and what makes awesomeness? What I was calling “awesomeness” more or less equates to Godin’s “art”. 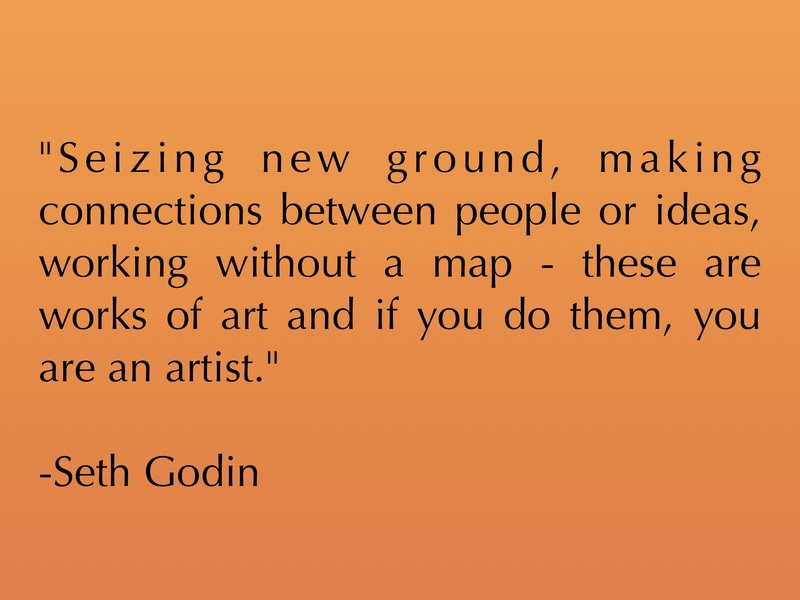 Art according to Seth Godin. This is my answer, not Seth’s. My answer is to be relentlessly positive when it matters. I’m not saying that you should walk around singing Always Look on the Bright Side of Life. There are going to be issues wherever you work. There are times when acting on them can actually make things better. You may actually be able to make them better. You may also end up being the squeaky wheel who nobody wants to talk to. You may end up with a reputation of being a whiner. You may do your own art and have everyone tune it out because they see your name on it. If that’s the case, then it’s not art because there’s no connection and no impact. I will reference Seth’s definition of art and say that it’s not worth doing if you don’t make a connection. If you can’t make people want to join you on the greener side of the fence because they want to be there then you’re not going to make progress. So here’s the deal, forget trying to make the horse drink the water you’ve led it too. You want to have the horse jump in your water and play while doing an equine backstroke. What I’m assuming here is the following. You work someplace and see a compelling need to change things in a way that furthers your own goals. You like where you’re at but there are either problems in execution or opportunities being missed. There’s a way forward but it’s different and not what people are used to seeing – but you see it. You have three options here. The first is to do nothing other than business as usual. You’ll be unhappy and maybe safe but very likely not to be very happy. The second is to point out how wrong the current way of doing things is. The problem here is that someone above you put the present state in place, can’t see that there’s a problem with it, or does see the problem yet can’t figure a way out of it. Whining is just going to rub The Establishment the wrong way. You don’t get to move ahead with your vision and your personal brand actually has its stock go down. This clearly leaves option 3. That’s being belligerently positive. If what you’ve come to realize is a problem or opportunity actually has validity and there’s some clear information backing it, then put it out there. But make it a win. Educate people by using information from the outside for validation. BUT – and it’s a big BUT – do it in a positive fashion. Don’t rub it in somebody’s face. Give them a win and let them come to your conclusion. When they get there, it’s not because they feel they’ve been led. It’s because there’s a real case for it which is truly right and they’ll know that you’re tied to the answer. If you’re in a start up then this may take all of a day. If you’re in a huge company then it may take just a bit longer. If you have petty complaints which have nothing to do with achieving your goal then just shut up and let it go. The important thing is that you’re bought in for the right reasons and it’s plainly obvious where you stand. You need to stand on the side of the line which says you’re here for the long haul and are in it to help win it. If you come across as demanding change or else then you’re already on the outside and it’s because you’ve put yourself there. Freshen up that resume. What you’re doing here is showing passion but positive passion. This takes time and is definitely not an easy task. It takes patience and a track record. You cannot do it by being self-serving and without looking at your version of the truth through their eyes. You shouldn’t be selling, they should be buying. People react to positive passion and a good cause. They build connections and want to be a part of the solution on the road forward. 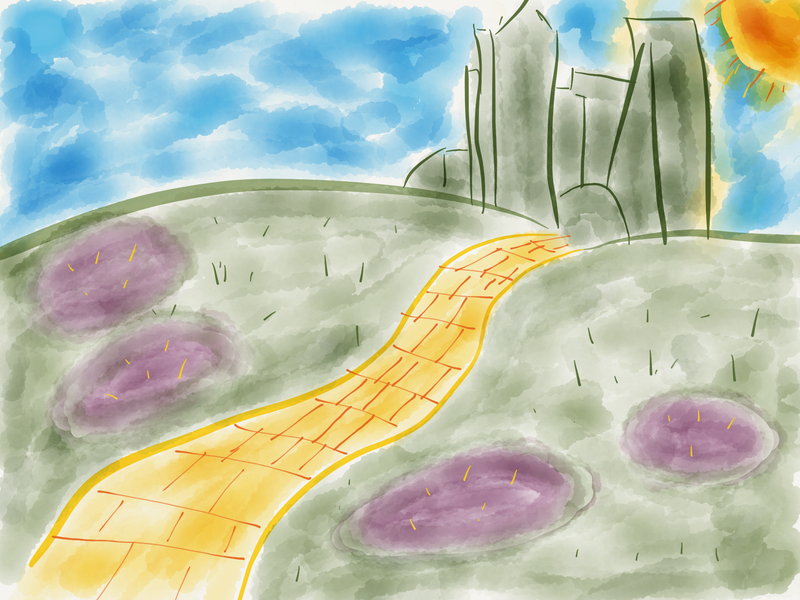 They want to skip down the Yellow Brick Road towards the Emerald City. You have a choice to be apathetic, a whiner, or a leader. Which do you think gets you the latitude to make the art you truly care about? People will follow you to see The Wizard. I saw a recent article on Inc. which a LinkedIn connection of mine published. It’s a terrific list of amazing employee traits which ties in well to this and several of my last posts. Next Next post: Thought Followership?? ?